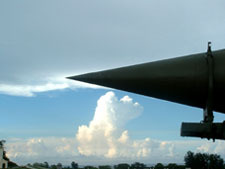 Images from the Cuban Missile Crisis. 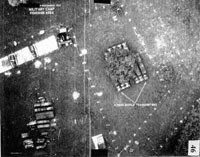 Read the press release from 11 October 2002, 5:00 PM, including documents and photographs from the height of the crisis on 27 October 1962. 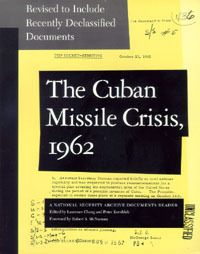 Documents released today included verbatim Soviet records of the contentious meetings between top Soviet leader Anastas Mikoyan and top Cuban leaders including Fidel Castro and Che Guevara during Mikoyan's trip to Cuba in early November; Soviet orders first preparing the tactical weapons for training the Cubans and then, on November 20, ordering their withdrawal; and a prophetic summary of the crisis written by the British ambassador to Cuba, who predicted that the crisis could ultimately rebound to the benefit of the Castro regime and the long-term survival of communism in Cuba.